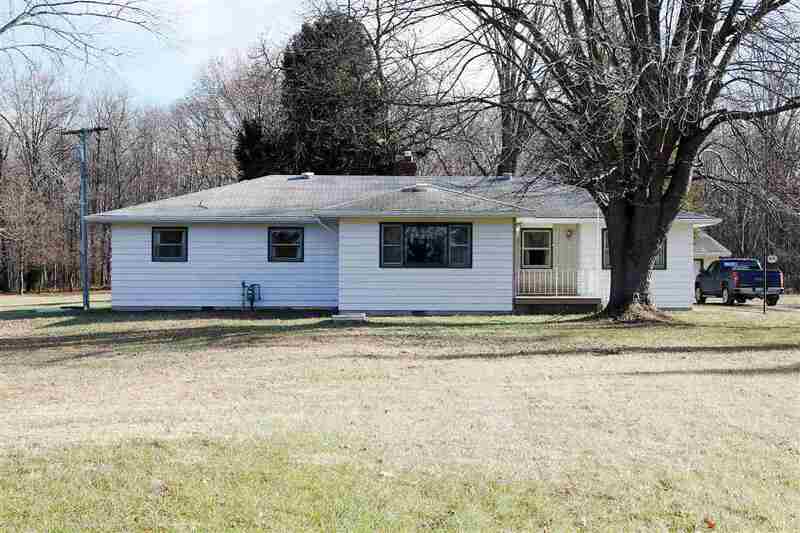 First time offered, private setting ranch house, several outbuildings for storage, home features 4 bedrooms, large kitchen, large living room on a five acre lot. 2 car detached garage is heated. Barn is a drive through with 10 ft doors at each end and is also heated.